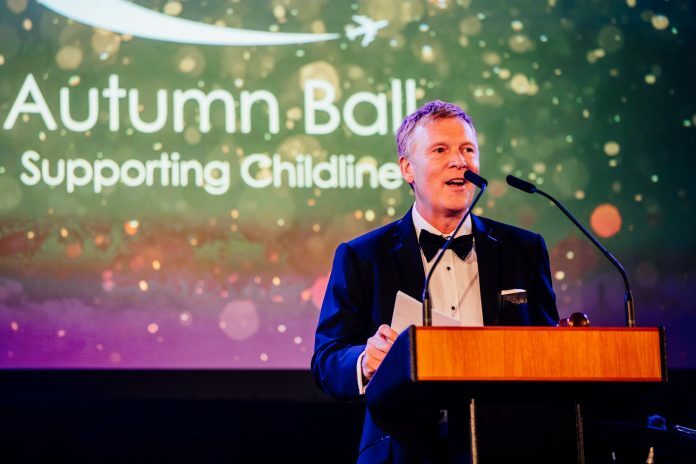 Wayne Hollinshead at Pattonair’s 2017 charity ball. Volunteers from global aerospace supply chain services provider Pattonair are set to lend their DIY skills to a local children’s charity to help transform its building and gardens. The Derby-based firm is taking part in the DIY SOS-style challenge to help Derwent Stepping Stones, which works in partnership with local communities to deliver high-quality and effective services to children and their families. It runs family support schemes, youth programmes and a wide range of initiatives to support children, across four sites in Derby. A team of around 100 volunteers from Pattonair will spend a week at the charity’s St Mark’s Road nursery later this month, carrying out a host of works to transform its facilities and create a stimulating environment that helps to equip local youngsters with vital life skills. Plans include sprucing up its overgrown garden and equipping it with a mud kitchen and bug hotel, bringing to life its two classrooms with bright and vibrant colours, transforming its patio area into a comfortable and relaxing outdoor space, equipping its stable with a ‘water wall’ and play facility, and turning its rooftop area into an open-air learning space. The challenge is being backed by fellow Derby company Davlyn Construction, which is providing professional labour and building materials to the project free of charge. The family-owned firm, based on the Sir Francis Ley Industrial Park, lists JCB and Pendragon among its clients and provides a full range of construction services to the automotive, commercial, education, healthcare and residential sectors. Wayne Hollinshead, Pattonair’s CEO, said: “As a local company with proud roots here in Derby, we are delighted to be teaming up with Derwent Stepping Stones to help its transform this nursery into a more modern facility which creates an inspiring environment in which the children it works with can learn. Janet Holland, the charity’s Chief Executive, said: “Derwent Stepping Stones is a charity based in Derby supporting children and families. Our focus is to offer the children outdoor play opportunities in as natural an environment as possible.